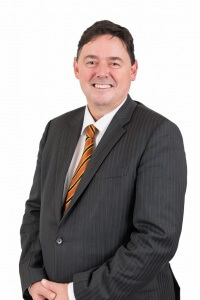 Guest Bios: Dr Kelly commenced in the role of Chief Executive Officer, Mater Health Services in July 2015. Mater Hospitals are nationally renowned for a strong positive organisational culture of compassionate care, and patient and staff safety. The Mater provides over 1,000 hospital beds and a diverse range of community-based services. The hospitals include Australia’s largest maternity facilities, the Mater Mothers’ Hospitals, in which over 10,000 deliveries are performed each year, the Mater Private Hospital Brisbane and Mater Adult Hospital. 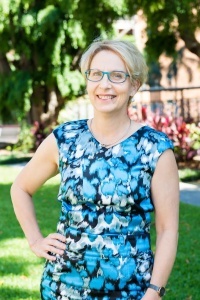 Dr Kelly’s directorships include Mater Medical Research Institute; Mater Foundation; Brisbane Diamantina Health Partners; and Mater Education Limited (MEL). managing Mater’s clinical safety and quality unit, she has a broad mandate to participate in the development of an improved approach to clinical governance, clinical service delivery, and teaching and research across all Mater facilities and services. Segment overview: For our Innovation in Health Service and Hospital Management Segment, we welcome Dr. Shane Kelly and Dr. Clare Morgan from Mater Health Services. They are here to share the organization’s background as well as insightful information about the wide range of services that they provide. They make sure that they are delivering the highest standard and quality of clinical care with low variability and high predictability and always evidence based. In order to achieve that, they are very much about bringing together the clinical services of the health arm of the organization with their education and research components so that the research is informing evidence based practice and the education arm is helping them to implement it through changes at the core phase. They are particularly focused in the education space on simulation, utilization simulation to bring about learning and development and change. They believe that other innovation comes from really from the ground up, rather than being pushed down and so even in their obstetric space, they have some fairly innovative people who have done things a bit differently to what you would normally expect and really for the benefit, for the purposes of trying to provide even better care in an efficient way and backed up by the evidence. 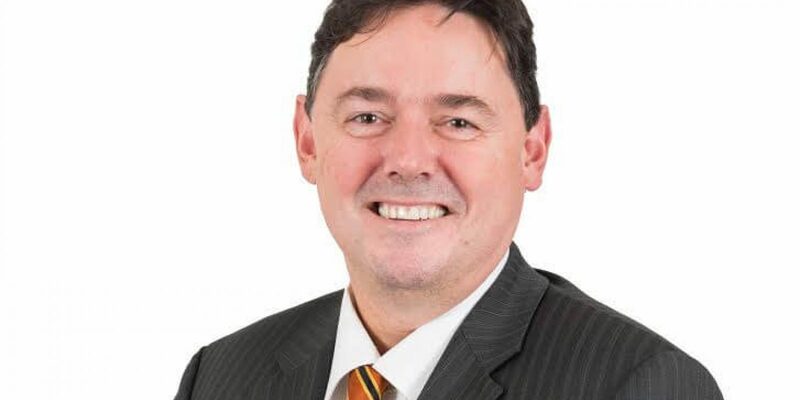 Wayne Bucklar: You’re listening to Health Professional Radio, my name is Wayne Bucklar and today I’m joined by Dr. Shane Kelly and Dr. Clare Morgan who are with the Mater Hospital in Mater Health Services in Brisbane. Dr. Shane Kelly is the Chief Executive Office of Mater Health Services and Dr. Clare Morgan is the Chief Medical Officer. Welcome to the program to both of you. Dr. Shane Kelly: Thank you very much Wayne. Dr. Clare Morgan: Thank you Wayne. W: Now I do appreciate your time, I realize you’re both busy people but I wonder if you could just sketch in for me a little bit about Mater Health Services for those people who are not familiar with it? S: Sure, perhaps I’ll kick off. Mater Health Services in Southeast Queensland is a group of hospitals as well as a Medical Research Institute and an Education arm and a Foundation, providing care for people in our catch bin rea in South East Queensland. And we have a combination of private hospital services and facilities, as well as providing a large contract of public healthcare provision through Queensland health. We’re about a thousand beds altogether, combining the main campus here in South Brisbane with our hospital in Cleveland called Mater Redland Hospital and also a new addition to our stock in recent times the Mater Private Hospital in Springfield. So we provide a broad range of medical and surgical and other services, we have a very large obstetric service with in excessive 10,000 deliveries a year making us the largest maternity site in the country. And associated with that, we’re only privately licensed level three neonatal special care nursery, which we have in the order of 80 beds. So we do a lot of other work apart from obviously obstetrics and gynecology, and new born services. And we have some high level interest in a range of cancer services as well as in such things as neurosciences, including treatment of refractory epilepsy. We have a significant medical research institute, the Mater Medical Research Institute in close linkage with the University of Queensland. We’ve got a couple of hundred staff in that institute and they are also working in what’s called the Translational Research Institute in Queensland which is based at the Princess Alexandra site for where one of the main shareholders, one of four main shareholders for that organization. And as I indicated we have interest in expertise and services in education as well and that both in vocational trained space as well as the undergraduate, post-graduate training for healthcare professionals in Queensland. So that’s us in a nutshell. W: That’s a pretty big nutshell Shane. S: Yes, we’ve been in a long time since the 5th of the congregation of the Sisters of Mercy, first established early in the 20th century. We’ve been around for over a hundred years and most of that time on this main campus in South Brisbane. W: Now on this program, we’ve particularly going to focus on innovation, because it’s one of the series of kind of specializing topics that we try and do. How do you manage innovation in an environment like yours, with a thousand beds that’s a big environment and large staff numbers? Is innovation part of your process that’s kind of has it’s say an “identity” or how does innovation and change work out for you? S: Look I think it’s fair to say that our focus is among its not so much on being terribly innovative, as being providing a service and a clinical service that is evidence based and doesn’t have a high degree of variability. Now obviously to achieve that we need to implement some innovative ways of doing other sort of things, but we’re not trying to be innovative for the fact of being innovative. We’re trying to make sure that we’re delivering the highest standard and quality of clinical care with low variability and high predictability and always evidence based. So in order to achieve that we’re very much about a couple of things, one is to bring together the clinical services of the health arm of the organization with our education and research components so that the research is informing evidence based practice and the education arm is helping us to implement it through changes at the …. We’re particularly focused and I guess this could be considered as reasonably innovative, we’re particularly focused in the education space on simulation, utilization simulation to bring about learning and development and change. And we have a good number of expertise in that area and links with the likes of … in Massachusetts General in Boston. And I think other innovation comes from really from the ground up, rather than being pushed down and so even in our obstetric space, we have some fairly innovative people who have done things a bit differently to what you would normally expect and really for the benefit, for the purposes of trying to provide even better care in an efficient way and with the backed up by the evidence. W: It does answer the question for me, thanks Shane. I was led into this innovation series by some criticism from another Medicare that I was talking to about evidence based medicine, who was his criticism was that this was “cookbook medicine,” was his description. That it was following a formula and that in fact this inhibited him in his practice of the art of science and medicine. So it’s interesting to hear that you’re going to that evidence based path. Have you found any issues with push back from clinicians or other people? S: Look it’s very early days for us and I wouldn’t be at all surprised to get some push back along that very train of thought, but I don’t think it is cookbook medicine. I think we provide a lot of medical care that has been undertaken really as the consequence of custom and practice rather than necessarily having a really sound scientific basis to it and so we’re trying to put our focus on that to make sure that what we do have that scientific basis, and if it looks to be a little provocative if someone wants to call that cookbook medicine and that’s fine. But if it’s provide book, if it’s provide for a better outcome and a more predictable outcome and good quality care, then I’ll make no excuses for it. C: If I can just extend the concept of cookbook and variation in care, I think you have to be careful about what that means. I mean the variation, it has two arms to it. So variation can lead us to a question that hasn’t been answered because someone has found something that they haven’t told the rest of us about. So that’s discovery process, but variation can also mean that someone is not doing something that they should be for that opportunity for learning. So I think it’s really important that we ensure that we have both opportunity for learning and the discovery, and that’s about building the right systems and the right teams and using the right data. And one of our major activities that we’re undertaking at the moment is organizing our hospital data coming from both the business side as well as from the clinical side, in such a way that we can present it in a meaningful way to our clinicians who work at the core phase. Because we know that’s really, really powerful and engaging them and enthusing them around change and doing things in a different way. W: Yes, the hospital sector has always been very good at collecting lots of data, but the difficult has been in getting it into an organized form that has meaning and becomes more than just a kind of checkout list of what happened, but rather start to explain why and how things happened. Have you adopted Electronic Health Records? S: We’re in the midst of looking at where we’re going on that front. We do have a clinical online system called “…” And we also are in the process of scanning our records to go with that, so we’ll have a combination of that … with the online system and scanned records. But we have a clear view towards implementing electronic medical record at the appropriate time which I hope is not too far end to the future because I think if you don’t do that you’re gonna get left behind. W: I think that’s kind of the inevitable conclusion of most people these days, is that while it might be difficult and expensive it’s rapidly becoming inevitable that it does occur. Now one of the parties that we talk to in this innovation series was the Health Roundtable, I wonder if you had experience with them? C: I can go further than that. The Health Roundtable’s philosophy is about “sharing” and about “understanding where one another are on the curve and sharing” well you’re doing it really well and can you tell us and share with us why you’re doing really well, and then what you tell me I’m allowed to take away and I can help to improve my own service. And I think that’s been the underpinning mechanism that has enabled conversations to flow and the healthcare workers to participate and really think innovatively about how they can do things. If one organization is doing it, it gives you the confidence to try in your own organization, it gives you the network that you can support one another in, and I really believe that the Health Roundtable has enabled that sort of approach to flourish amongst the organization who are active participants. We’re now our Mater hospital has been quite a leader in that space and some of the innovations that we’ve implemented here certainly been taken up by other organizations, one of which is a shared care model between an acute hospital and our general practitioners and that’s now being spreading to other parts of the State. So I think it is really, really powerful when conversations can be had in a safe environment, without any judgement around what you’re currently achieving but it’s also good to be able to see what is wanted possible and not average everything back to a mean or a mode or an average. W: It does indeed sound like it’s very valuable in fostering that innovation and best practice paradigm. I was interested in talking to the Health Roundtable that the one of the things that came out of my conversation with them is the notion that health tends to be busy and perhaps a little introspective because there’s always another crisis around the corner and there’s always another demand for time and resources. And I think one of the things that the Health Roundtable leads to is a capacity to share some of that stuff, as you say in an unthreatening way. S: Yeah, I think with certainly my friends we’ve come a long way in the last decade of who in terms of having a preparedness to openly share information. Not too many years ago we’ve all secretly squirrelling it away and concerned or embarrassed that might be known by audience but these days there’s much more of a preparedness to know who it is that we are comparing ourselves to and to be able to go to them and you say “Well you’ve done it well. Or we’ve struggling in this area so what can you help us with?” So I think that went, when that transparency about how you’re performing is really coming into time these days and I think we’re all accelerate the passive change. W: It’s good to hear that the transparency that you speak of and the innovations that arise from it finding their way into practice and as you say into predictable outcomes Shane. Shane and Clare thank you very much for joining me today, it’s always good to get people who are experts in their field who are willing to share some time. So thank you for your time in joining us in the program today. For people who want to get in touch or who have questions, is the Mater website the best place to go at www.mater.org.au? S: Yeah, that would be the first protocol I would think. W: So if you’re looking for more information on my conversation with Shane Kelly, Chief Executive at Mater Health Services or with Dr. Clare Morgan Chief Medical Officer, head off to the Mater website www.mater.org.au or you can head to our website www.hpr.fm. And on the Health Professional Radio website we have a transcript of our conversation today, we also have an audio archive of the interview on both YouTube and SoundCloud, and you can find links to both of those on the website as well. Thank you for joining us today and thank you for listening to Health Professional Radio. This is Health Innovation, my name is Wayne Bucklar.